Fr. Matthew Despard found "guilty" by Bishop Toal's canonical "court" of 21 of of 26 "charges"
Fr. 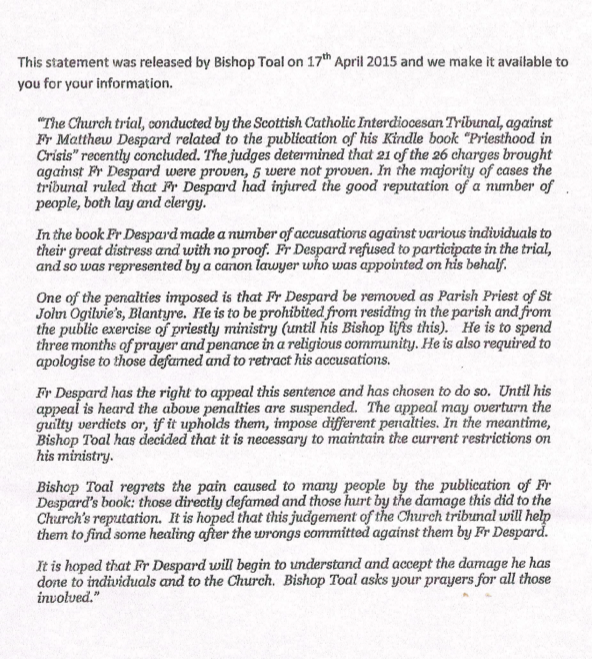 Matthew Despard, a priest of the Diocese of Motherwell, about whom this blog has written and defended over a number of years has been found "guilty" on 21 of 26 canonical charges against him, by a local church "court" established by Bishop Joseph Toal, the Ordinary of the Diocese of Motherwell. Readers may be aware that Fr. Despard, along with others, such as Fr. 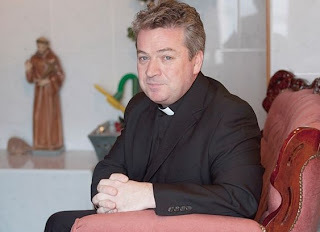 Patrick Lawson (also driven from the priesthood), or laymen, such as abuse victim Pat McEwan (mocked by the previous bishop as a drunkard), are all brave men who have publicly stood up to the homosexual juggernaut that dominates the local Catholic Church in Scotland. 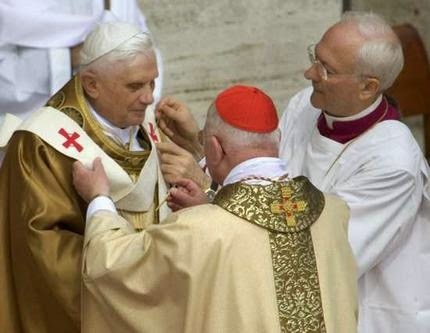 While good priests are thrown out, priests who have committed homosexual acts continue in the active priesthood, even receiving promotions, such as "Fr". Paul Milarvie. Truly iniquity abounds. This blog is blessed to have "eyes and ears" on the ground in Motherwell. Witness will continue to monitor the situation closely. The following was sent to Montfort by his contacts in Motherwell. In the joy of this season of Our Lord's Resurrection, I would like to greet my brothers and sisters in Christ who have been praying for me and supporting me along this journey. I pray that the truth of our Lord Jesus Christ, has indeed risen, would engulf our hearts and lead us to a great thirst for God, a great hunger to live for Him, and, as Bl. Teresa of Calcutta said, to “make out lives something beautiful for God”. Maybe there is a little doubt in our hearts, like there was in Thomas', and we need to hear anew the words of Jesus, “do not doubt, but believe” (Jn 20:27). The more deeply we believe, the more we will open the doors of our hearts and allow His Kingdom to come here on earth as it is in heaven. I would like to thank everyone who is writing or who has written to me. I wish I could reply to all of you but I am unable. Please bear with me! In some of the letters and conversations there have been questions or comments that have led me to see that some clarification would be helpful, so I would like to try to address this in this letter. First of all, with regard to the circumstances of my arrest it may be helpful to know that my charges (as previously), are “mischief: interfering with lawful enjoyment/operation of a business”, and breaches of a probation order (which I did not sign yet is still considered enforceable) forbidding me from going within 100 m of any place where unborn babies are killed. On Dec. 23rd, 2014, when I was arrested, I was inside the waiting room of an office used for the primary purpose of killing unborn babies. People have often asked me if I could not simply stay outside the area I am forbidden to enter, and in that way, avoid arrest. But this question forgets something: the children scheduled to be killed will have no one to stand up for them. We will stop being present to them and to their mothers out of obedience to an immorally imposed restriction by those entrusted with authority. If we think in terms of getting arrested or not getting arrested, we lose sight of Christ, hidden in: "the distressing disguise of the poor” - those so poor, we cannot even see or hear them. If we think of someone we love very much and imagine this person planning to commit suicide, would we not do all we could to protect them, to stop them? When I think of it in those terms, I realise how little I in fact love these helpless babies and how utterly abandoned they are. But each child hidden in his or her mother's womb is made by God than the most loving parents could ever love their children. Because He loves them, we are called to love them. We know that love is not for tomorrow; love is the call for today. Linda and I, (as others), go to love – to strive to love – these little ones who only have minutes to live; they are scheduled to be killed today. We may not succeed in protecting the babies; but we strive to be faithful and to do the best we can while relying and trusting in God “who works all things together for the good...” (Rom 8:28), not stopping at a legal boundary unjustly imposed. "I'd like to liken it to the situation of two friends: say there are two friends, and one is black and one is white. And in this society the black person is treated as garbage, like the pre-born children are. And the friend, the black friend, is brutally killed, and the white friend is roughed up a little bit, not more than being tripped, and falls down, bruising his knee. And let's say that the churches and the people in society become aroused by the injustice that is going on. They all flock to the person with the bruised knee and demand, “this is terrible injustice, this person was pushed and shoved”! And they showered all kinds of attention on that person. I don't think that person who truly loved his friend who was murdered, and brutally murdered, would feel very good about that nor would want it; or would feel bitter if the attention did not come to him. You know, I think that person would be grieved and upset that attention continued not to be given to the friend who was murdered, but only to himself” (excerpt from an interview with Joan (Andrews) Bell *, taken from the book, A History of Operation Rescue. Richard Cowden-Guido). Please know that I deeply appreciate your prayer and your love and encouragement and am most encouraged when we focus on God's littlest ones. If we appeal to the government or to the public in general, let's always keep the focus on the responsibility we have to assure the establishment of the most basic justice. What is a more basic duty of a government than to assume protection – the right to live – of each human being? Linda and I are happy to embrace this cross (which is not too heavy) and strive to receive it as a normal result of wanting to be faithful to Christ and to love Him in “the least of these” (Mt 25:40). We do not want to focus on ourselves. We are in jail willingly and we hope that others would be encouraged to stand strongly in faith. We ask you to pray not so much that this cross be removed but for the strength to carry it and to grow in trust in God, to the point where we love the cross. Of course, however, we look forward to the day we hope will come when we are no longer being imprisoned – only if this means that the killing has ended and all of us are permitted to live – and to live freely as dedicated Christians. A good friend, has made an important observation: there is pro-life work and there is Gospel of Life work. If we are Christians, we want to be Gospel of Life workers! We see not only the problems (of abortion, euthanasia, etc...); we are called to see everything in the light of Christ (crucified, died and risen from the dead)! We are called to see that the greatest injustice today is not abortion but the root of it: the failure to adore God, to put Him first. We have lost respect, reverence, for the human being because we no longer adore God, to whom alone our worship and adoration is due. Whether we be Christians or not, we are all called to defend human rights. But as Christians we are called to aim even higher. Bl. Teresa of Calcutta said it simply and beautifully, “Let our only ideal be Christ”. As Christians, we are led to discover Christ in each person, not the “crowds”, to paraphrase this saint. We are called to much more than to struggle for a good cause. We are called to live of the greatest Love and to love in return – to lay down our lives for our friends as Jesus said and did: “Love one another as I have loved you” (Jn 13:34). We can never be satisfied with our working for a good cause because the Christian vocation demands of us a constant conversion, a growing conformity to Christ, our Life. We must do what we can to establish a just society but without the commitment to strive to love as Christ loves us, we would, as St. Paul says, “be nothing” (I Col 13:2). “The abortion culture holds that comfort is not just a good, but the greatest good, greater than truth or justice or charity, and finally of more importance even than God. That culture is confident that in the end, Christians agree with it on this, and so can be counted on to reject the very real suffering that it will provoke” (A History of Operation Rescue). I believe this statement is well worth pondering. In the more developed nations, we do cherish our many and various comforts (especially in Canada! ), and while God may not demand we renounce them all, we are called to renounce anything that stands in the way of faithfully following Him. This might be our own reputation or human respect, or it could be a job, career, or an opportunity for these. It could be a relationship or our freedom; but as St. Paul reminds us, “In your struggle against evil you have not yet resisted to the point of shedding your blood” (Hebrews 12:4). I am no less fearful of physical torture than most people, yet I know that if one day it comes to the point where resisting evil (and striving to do good) results in this, - as it is currently a reality for so many of our brothers and sisters in other parts of the world – God will give the grace. He shows that He is always faithful, that He sustains us as long as we place our trust in Him. 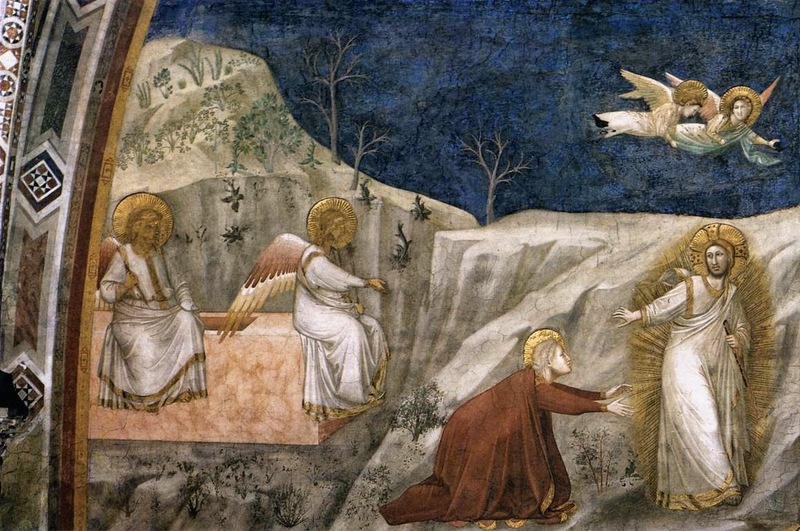 Even if our lives are demanded, we should never fear, because Christ has truly overcome the world (Jn 16:33): Christ is risen! Alleluia! He is truly risen! Alleluia! Alleluia! He says again to us, “Peace be with you” (Jn 20:21); “It is I. Do not be afraid” (Jn 6:21); “Do not doubt, but believe”. An excellent article on Joan Andrews Bell by Fr. Paul Nicholson may be read here. Witness thanks Mary Wagner for her gracious permission to publish her Open Letter. Today, at the College Park Courts, via video link, Linda Gibbons retained in custody and informed that there will be another hearing next Tuesday, April 28th, video appearances from the Vanier Centre for Women, in Milton, commencing at 9 a.m. 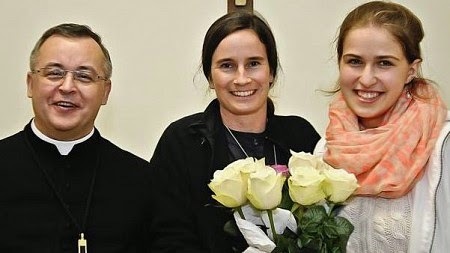 Please pray for this extraordinary woman, who has spent over ten of the last 20 years behind bars; witnessing for life through her love for our Blessed Lord in the babies. As Linda told me to my face this past Sunday, "this is the right place to be while this injustice goes one..."
Linda Gibbons will appear in court tomorrow, April 19th. "Let hope be your joy; be patient in trials"
Linda Gibbons, who has spent ten out of the last twenty years of her life behind bars, witnessing for life, incarnating Our Blessed Lord's love for children will appear via video link from the Vanier Centre for Women at 9 a.m., in court at the College Park Courts. Presently, delays regarding disclosure are delaying charges and a trial date - if any. Linda may well be released in the future without any charges laid against her. Linda told me something wonderful yesterday: "it would be wrong if I were not in jail, given the injustice against the unborn". I may be paraphrasing, but I am conveying with absolute clarity, the essence of her testimony. Please pray for her, and Mary Wagner, who is awaiting a pre-sentence hearing on May 5th. from the grip of the unjust, the oppressor. from my mother's womb you have been my help. Mary Wagner's trial for "probation violation", and "interfering with a business" was held this Thursday at 10 a.m., at the College Park Courts (444 Yonge St; at the corner of Yonge and Dundas). It is important to note, that while Mary's trial ensued, her dear friend, Linda Gibbons, will be sitting in prison at Vanier, 60 kms away, awaiting her upcoming trial (probably in June). At the trial, this time, finally - thanks be to God - a Catholic priest was present, Fr. 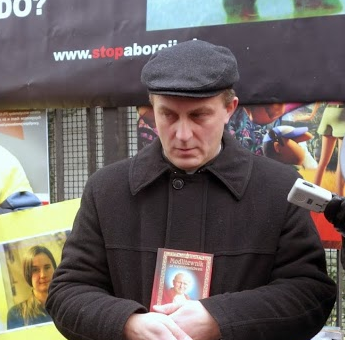 Piotr Bałtarowicz; in Canada - from far off Poland - for a pilgrimage of solidarity with Mary and Linda - to the "Sanctuary behind bars". The formal witness of an alter Christus, is extremely important. This trial is a manifestation of the confrontation between Christ and Belial, between the Church and the anti-church, hence the necessity for one of Christ's priests to be present. This is not a trial about "probation", or 'interfering with a business"; just as Our Blessed Lord's trial was not about "blasphemy". That is a superficial perspective. This trial was about truth, God's truth, not man's invented non-truths. 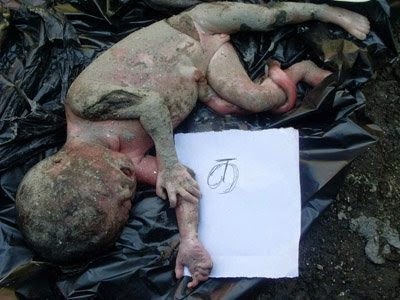 It is about the truth and dignity of human life: from conception to natural death. 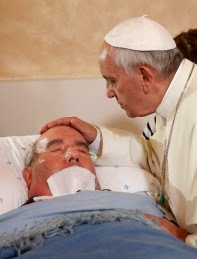 It is about solidarity with the unborn, and by extension, the elderly, the frail, the weak, those despised by society as "unwanted"...those in grave danger of the ever expanding "culture" of death. Because they hate truth, Mary was "convicted"; convicted by an evil and vile system that rejects truth and life. On two counts of probation violation, and one count of interfering with the business of bloody murder. A pre-sentencing hearing will be held on May 5th. It was extremely important that we attended, that we gave witness to the unfolding of this event, just as the women witnessed at Calvary. Mary has taken up her cross and is following Him, because she knows that faith without good works is dead; she knows that one must "incarnate" Christ's love in deed. Mary refused to cease offering love and alternatives to mothers who intend to exterminate their children, and, as a result, it is deemed that she interferes with the operation of a "business". But God draws good out of evil, for out of the mouths of these abortionists and the State we already have an admission: the running of abortion mills is a "business", indeed a bloody business of murder and profit. In Poland, the ever resourceful Jacek Kotula and Przemysław Sycz, have organized a large demonstration in Warsaw, for the 16th: in "Solidarity with Mary Wagner and Linda Gibbons". This will be a public manifestation of the defense of the unborn. This is ultimately a protest for the voiceless, through the conduit of two humble women who have made a stand in the name of Christ for the unseen, the voiceless, the unborn. Exceedingly beautiful will also be the fact that the demonstration will include public prayer, especially the Rosary. To all the Catholics of Poland who have played the major role in building the Rosary Bouquet for Linda and Mary this Easter: thank-you! Nonetheless, it is important to remind supporters of Mary in Poland that what has become amongst some a personality cult, is counter productive. Our Lord is adamant, "pray always" (Luke 1:18). Through prayer, the "pro-life" movement can be transformed into a "Gospel of Life" movement, which was what St. Pope John Paul II emphasized in Evangelium Vitae. Fr. Paul Nicholson emphasized this by referring to the power of witnessing for life through love of Christ, through solidarity with the victims of abortion. For detailed analysis of yesterday's court proceedings please visit Lifesitenews. O Jesus, eternal Truth, our Life, I call upon You and beg Your mercy for poor sinners. O sweetest Heart of my Lord, full of pity and unfathomable mercy, I plead with you for poor sinners. 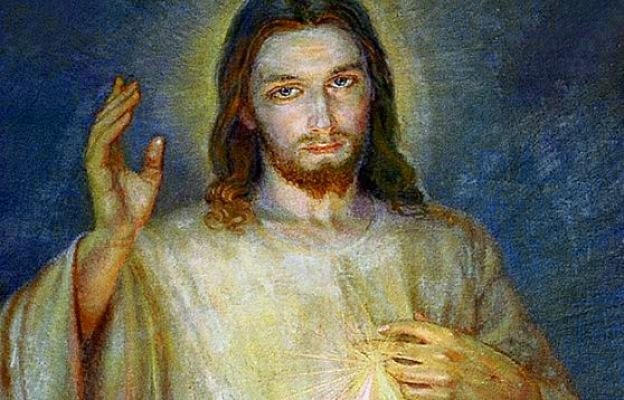 O Most Sacred Heart, Fount of Mercy from which gush forth rays of inconceivable graces upon the entire human race, I beg of You light for poor sinners. O Jesus, be mindful of Your own bitter Passion and do not permit the loss of souls redeemed at so dear a price of Your most precious Blood. O Jesus, when I consider the great price of Your Blood, I rejoice at its immensity, for one drop alone would have been enough for the salvation of all sinners. (...) Oh, what immense joy burns in my heart when I contemplate Your incomprehensible goodness, O Jesus! I desire to bring all sinners to Your feet that they may glorify Your mercy throughout endless ages. Pope Francis proclaims the Extraordinary Jubilee of Mercy "Misericordiae Vultus": "Jesus Christ is the face of the Father’s mercy"
"as we prepare to leave this life, we will be judged on the basis of love"
"It is my burning desire that, during this Jubilee, the Christian people may reflect on the corporal and spiritual works of mercy. It will be a way to reawaken our conscience, too often grown dull in the face of poverty. And let us enter more deeply into the heart of the Gospel where the poor have a special experience of God’s mercy. Jesus introduces us to these works of mercy in his preaching so that we can know whether or not we are living as his disciples. Let us rediscover these corporal works of mercy: to feed the hungry, give drink to the thirsty, clothe the naked, welcome the stranger, heal the sick, visit the imprisoned, and bury the dead. And let us not forget the spiritual works of mercy: to counsel the doubtful, instruct the ignorant, admonish sinners, comfort the afflicted, forgive offences, bear patiently those who do us ill, and pray for the living and the dead". Fr. Paul Nicholson: "Nine days that changed the world"
His Grace, Archbishop Józef Michalik won today in the defamation lawsuit filed against him by a particularly noisy and strident feminist, by name of Małgorzata Merenin. The lawsuit was dismissed for lack of evidence. Merenin, had attempted to silence the Archbishop, claiming that he accused her and fellow feminists of being the cause of pedophilia. The court found no basis for this accusation. The feminist was ordered to pay the Archbishop's costs of 540 zł. This was nothing but a "nuisance" lawsuit maliciously designed to financially ruin the saintly prelate. "Before our eyes, we see the promotion of a new gender ideology. 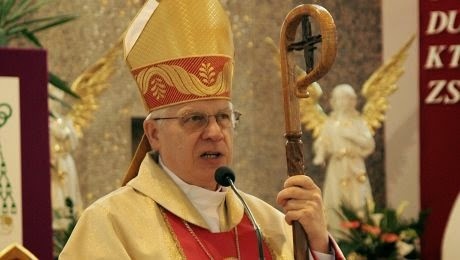 Already several major universities in Poland introduced lectures on this new and very clear ideology, whose programs are advised by the most aggressive Polish feminists, who for years have scoffed at the Church and traditional ethics, promote abortion and fight with the traditional model of family and marital fidelity. " This was an extremely important trial. Had the Archbishop been found guilty, it would have put a chill across all of the European Union, as regards the "civil" rights of churchmen to preach the Gospel undiluted from the pulpit. This is a victory by Catholics and all men of good will against the ever-encroaching neo-fascist juggernaut of the dictatorship of relativism. Let us take care though. This is but one small victory. 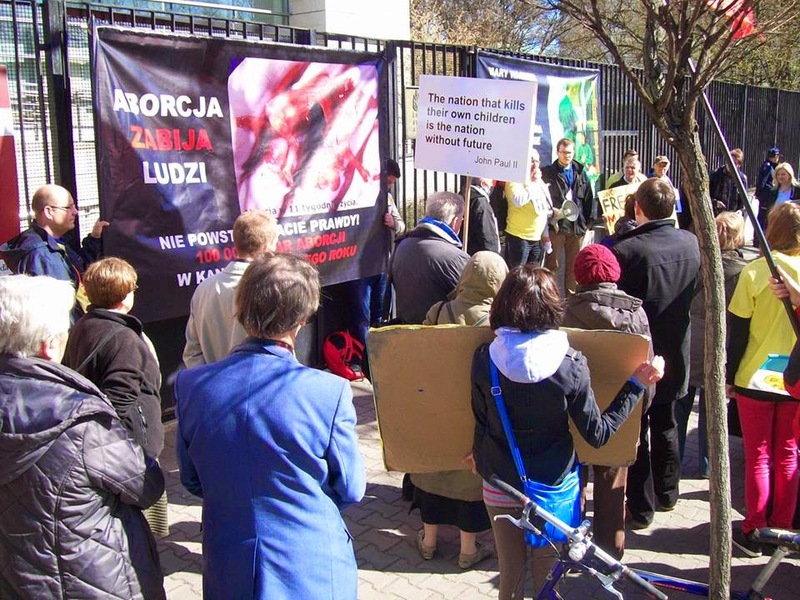 Vox Cantoris reports on a case of ongoing persecution of a Jewish organization that upholds the rights of God against sin. Feminists, homosexualists and others will continue to seek ways to silence and bludgeon financially into ruin, those who oppose them and their immorality. Yesterday, Tuesday, April 7th, at 9:10 a.m., Linda Gibbons appeared in the College Park Courts via video link from the Vanier Centre for Women, where she is being held having allegedly violated the "temporary" bubble zone "non" law when she picketed the east-end Morgentaler abortion mill, Tuesday, March 24th. Linda appeared without any legal representation and reminded silent during her hearing before a male Justice of the Peace. He set another bail hearing for this coming Tuesday for April 14th, at 9 a.m. via video link. Please pray for Linda and Mary Wagner, both of whom remain incarcerated at Vanier for incarnating Christ's love for the unborn. Besides this blog, Vox Cantoris and Lifesitenews, a sinister silence has descended on the official media (including Catholic - with one standout exception: Dorothy Cummings Mclean) regarding these two diabolical arrests, and the ongoing slaughter of innocents in the womb. Please pray for Canada. Why Linda Gibbons and Mary Wagner are right! Mary Wagner: "I am most supported when I learn that others are living their faith with zeal and authenticity..."
As I wrote to Jacek Kotula (who is fighting the good fight for Life in your country [Poland], I want to thank the many Polish people who have prayed for me and for my country. It was a great blessing to have visited Poland and it have met so many faith filled people who are striving to live the Gospel of Life. Thanks also for all the letters from Poland (certainly, since my last arrest, more mail is coming from Poland than from any other country). In some of the letters people tell me that they are also fighting for the Gospel of Life and this is good to hear. 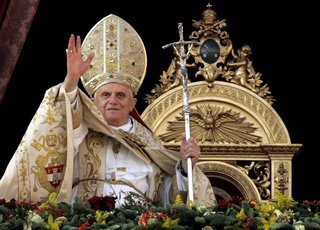 What I would like to say to Poles it that our greatest strength – our only strength – comes from God and that He is our strength, and He is our “only ideal” as Mother Teresa said: “our only ideal is Christ”. 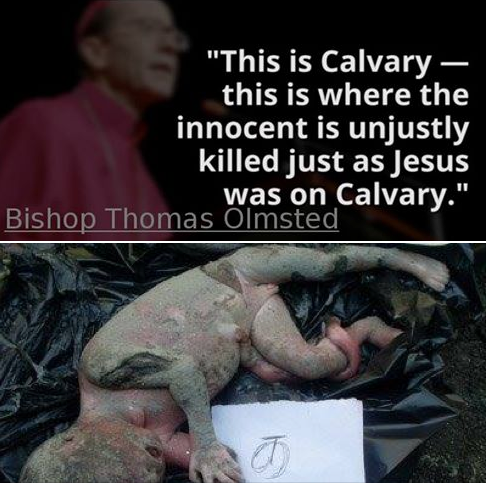 We seek to love our unborn brothers and sisters because this is what Christ has commanded us, and we accept hardship and suffering (with his grace) which is nothing compared to the suffering babies undergo when they are killed – because Jesus suffered and died for us and because “a servant is no greater than his master”. 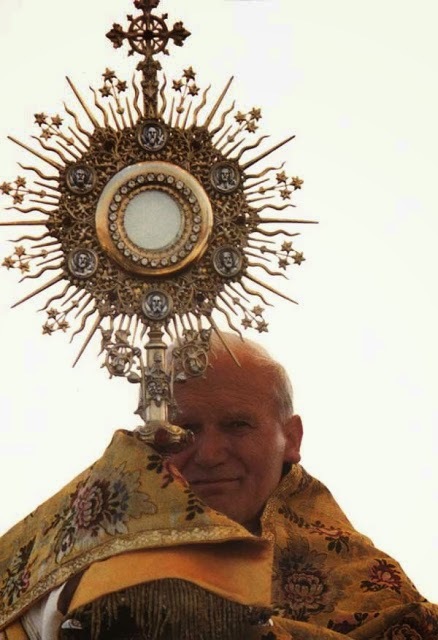 If I were a saint, I would be so happy to suffer anything, because it is precious and powerful when offered to Jesus. I never have thought that the fight for the life of the unborn is not worth the suffering of being in prison. Each child is an incredible, unique human being, unrepeatable, from the moment of conception; the child is made in God's image and likeness, and Jesus tells us, "whatsoever you do (or fail to do) for the least of my brothers you do (or fail to do) for me" (Mt. 25:40). Besides, my suffering is so little compared to the babies, who are treated like garbage, never to see the light of day or grow to know and love God as he intended. I would like to say that there has been a lot of support for me personally and for this particular path – from various people from all over the world. In particular Cardinal Oswald Gracias, when he spent a few days in Canada in 2013, took time to visit Vanier CW and say the first Mass ever said in this jail. I met Cardinal Gracias in 2012 and he has kept me in his prayers. Fr. Peter West of H.L.I. 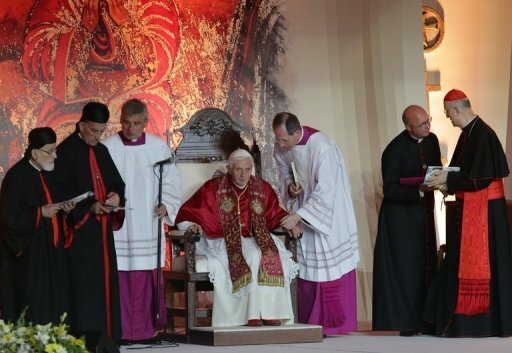 Said the second Mass at Vanier, in 2014, while on pilgrimage with the icon (replica) of Our Lady of Czestochowa. The recent demonstrations at Canadian embassies in Berlin, Warsaw and Moscow (and I have heard they are planned at other sites also ) are a beautiful and strong sign of our united struggle on behalf of God's littlest ones. Thank-you so much! I would like to take this chance to say that we must appeal to the government to give justice to the unborn, first and foremost. It is very kind to seek my liberty, but if I am free, with God's grace, I will return to try to protect the babies and as long as the law does not protect them, I can expect to be arrested again for “interfering” with the abortion business. The gift of faith is really our greatest treasure, and being faithful to Christ is the most important thing in life, So, coming back to the question of support, I must say that I am most supported when I learn that others are living their faith with zeal and authenticity and are discovering pro-life work more deeply in the light of our relationship with God and with the Church. We support each other in the deepest sense when we are truly seeking to love, to live the Life we are called to live through faith in Christ. This means a life of adoration, of acknowledging God as the One to whom we owe our complete adoration. As I learned from the late Fr. 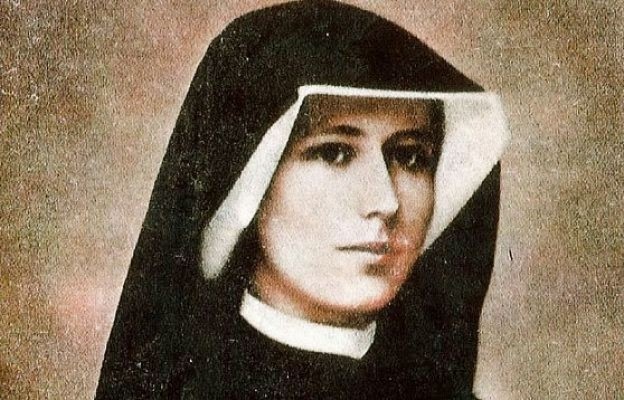 Marie Dominique Phillipe O.P., all the injustices of the world, (of which abortion is one), stem from the primary injustice: God is not adored. If we want to build the culture of Life, the civilization of Love, we will not succeed is we do not put God first, "seek first the Kingdom of God and all these other things will be given to you". Please consider joining others in pledging a Rosary for Mary and Linda Gibbons. Email us at: torontocatholicwitness@rogers.com (write "Rosary Bouquet" in the subject line); or visit here to pledge. 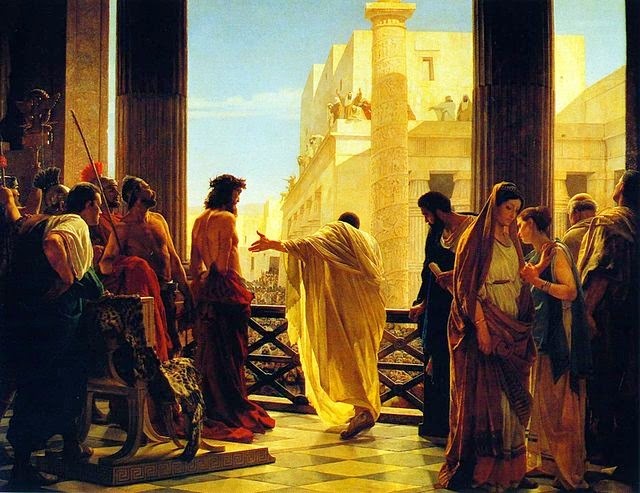 And after this, Joseph of Arimathea (being a disciple of Jesus, but secretly for fear of the Jews) besought Pilate that he might take away the body of Jesus: and Pilate gave him leave. He came therefore, and took the body of Jesus. And there came also Nicodemus, who came to Jesus by night at first, bringing a mixture of myrrh and aloes, about an hundred pound weight. We are not to explain the meaning by saying, first bringing a mixture of myrrh, but by attaching the word first to the preceding clause. For Nicodemus had at first come to Jesus by night, as recorded by this same John in the earlier portions of his Gospel. By the statement given us here, therefore, we are to understand that Nicodemus came to Jesus, not then only, but then for the firsttime; and that he was a regular comer afterwards, in order by hearing to become a disciple; which is certified, nowadays at least, to almost all nations in the revelation of the body of the most blessed Stephen. Then took they the body of Jesus, and wound it in linen clothes with the spices, as the manner of the Jews is to bury. The evangelist, I think, was not without a purpose in so framing his words, as the manner of the Jews is tobury; for in this way, unless I am mistaken, he has admonished us that, in duties of this kind, which are observed to the dead, the customs of every nation ought to be preserved. Now in the place where He was crucified there was a garden; and in the garden a new sepulchre, wherein was never man yet laid. As in the womb of the Virgin Mary no one was conceived before Him, and no one after Him, so in this sepulchre there was no one buried before Him, and no one after Him. There laid they Jesustherefore, because of the Jews' preparation; for the sepulchre was near at hand. He would have us to understand that the burial was hurried, lest the evening should overtake them; when it was no longer permitted to do any such thing, because of the preparation, which the Jews among us are more in the habit of calling in Latin, cœna pura (the pure meal). "Consummatum est ~ It is finished"
In regard to the first he says, After this, after the things that had just been mentioned, Jesus, knowing that all was now finished, that is, all that the law and the prophets had foretold about him had now been accomplished: "Everything written about me in the law of Moses and the prophets and the psalms must be fulfilled" (Lk 24:44); "I have seen the end of every consummation" [Ps 119:96]. By saying, I thirst, he showed that his death was real, and not just imaginary. It also indicated his intense desire for the salvation of the human race: "God our Savior, who desires all men to be saved" (1 Tim 2:4); "For the Son of man came to seek and to save the lost" (Lk 19:10). Indeed, we express our intense desires in terms of thirst: "My soul thirsts for God" (Ps 42:3). This desire could be satisfied because a bowl full of vinegar stood there.This bowl signified the Jewish synagogue, in which the wine of the Patriarchs and Prophets had degenerated into vinegar, that is, into the malice and severity of the chief priests. Christ is given the vinegar, for they put a sponge full of vinegar on hyssop and held it to his mouth. There is a question on the literal meaning. How could they put the sponge to Christ's mouth, since he was hanging high off the ground? This is answered by Matthew (27:48), who says that the sponge was put on a reed. Or, according to others, it was put on hyssop, which was long, and this is what Matthew called a reed. As for the mystical sense, these three things signify the three evils that were present in the Jews: the vinegar signifies their ill‑will; the sponge, full of crooked hiding places, signifies their craftiness; and the bitterness of the hyssop stands for their malice. Or, the hyssop represents the humility of Christ, for the hyssop is a bush used for purification, and our hearts are purified especially by humility: "Sprinkle me with hyssop and I will be cleansed" [Ps 51:7]. The final fulfillment is mentioned when the Evangelist says, When Jesus had received the vinegar, he said, It is finished. 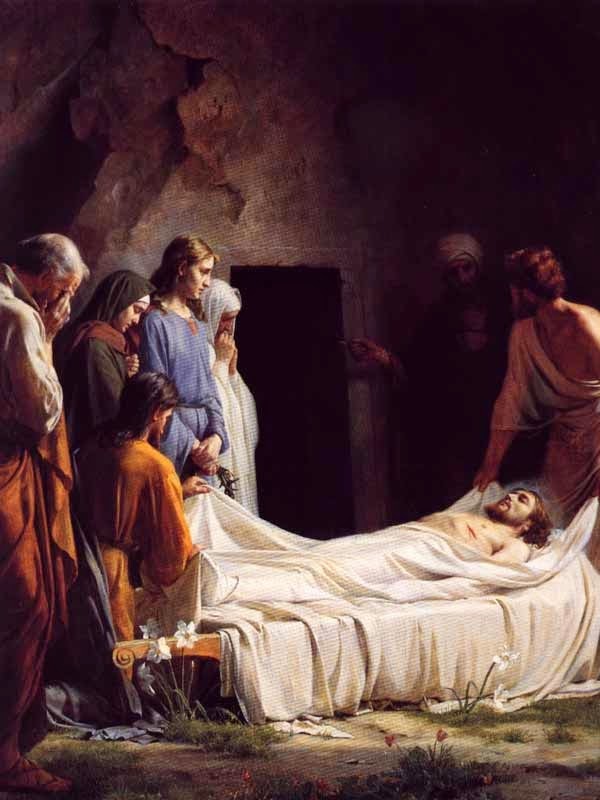 This can be understood to refer to the fulfillment accomplished by Christ by dying: "For it was fitting that the author of our salvation be fulfilled by glory through his passion" [Heb 2:10]. Or, it can be understood to refer to the fulfillment or accomplishment of our sanctification, which was brought about by his passion and cross: "For by a single offering he has perfected for all time those who are sanctified" (Heb 10:14). It can also refer to the fulfillment of the scriptures: "Everything that is written of the Son of man by the prophets will be accomplished" (Lk 18:31). Then the Evangelist describes the death of Christ. First, he mentions the cause of his death, he bowed his head. 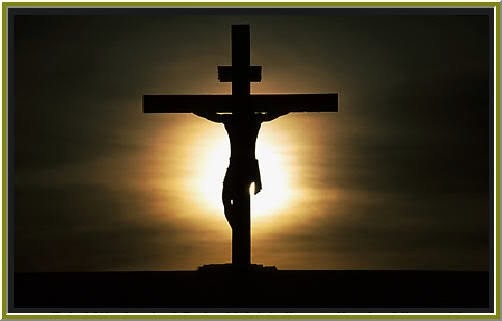 We should not think that because he gave up his spirit, he bowed his head; rather, because he bowed his head, he gave up his spirit, for the bowing of his head indicated that he died out of obedience: "He became obedient unto death" (Phil 2:8). 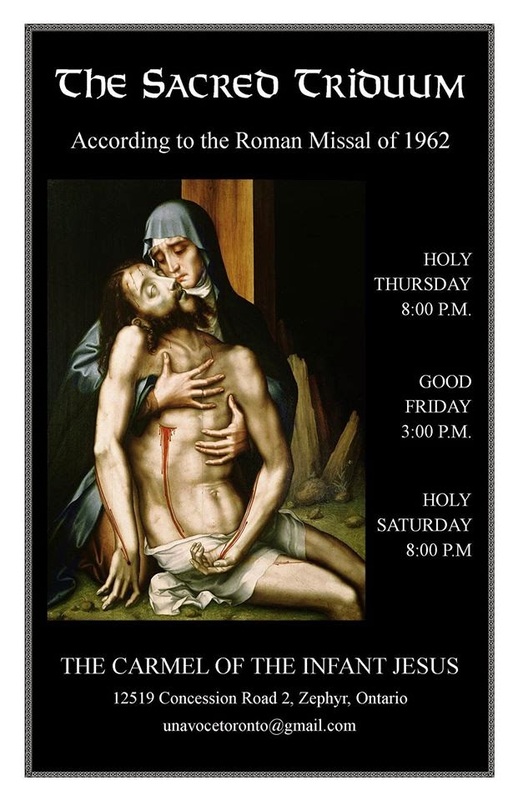 The Toronto Traditional Mass Society - UNA VOCE TORONTO, is very appreciative of the Discalced Nuns of Carmel of the Infant Jesus at Zephyr who belong to the Order of the Blessed Virgin Mary of Mount Carmel for allowing us to use their Carmel for the Sacred Triduum for the second year. 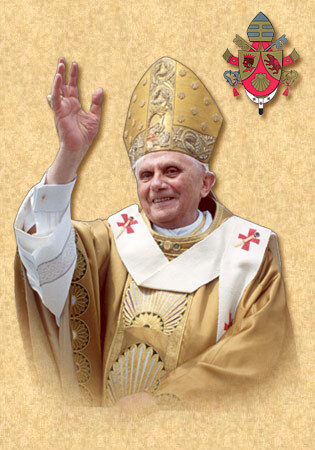 The services will be offered according to the Roman Missal of 1962 and will be sung with a spirit of solemnity and prayer to recall the Paschal Mystery of Our Blessed Lord's institution of the Holy Eucharist and priesthood, His saving passion and death and His glorious resurrection from the dead. A map to the Carmel can be found here. What a marvelous exchange! The Master Himself for a slave, God for man, the Creator for the creature, the innocent One for the sinner. You put yourself into the hands of the traitor, the faithless disciple. The traitor handed you over to the Jews. The wicked Jews delivered you to the Gentiles to be mocked, scourged, spit upon, and crucified. You had said these things; You had foretold them, and they came to pass. Then, when all was accomplished, You were crucified and numbered among the wicked. But it was not enough that You were wounded. to the pain of your wounds, they added other ignominies and, to slake your burning thirst, they gave you wine mixed with myrrh and gall. I weep for You, my King, my Lord, and Master, my father and Brother, my beloved Jesus". 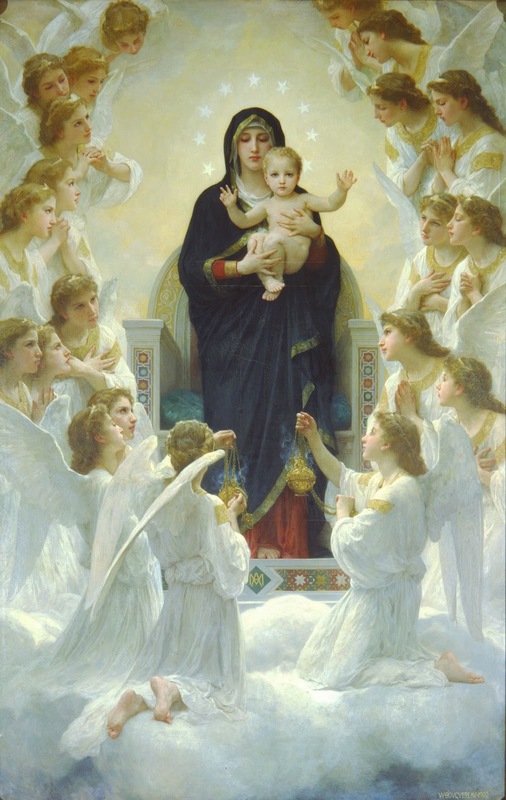 "The mightiest helper of the Christian people, and the most merciful, is the Virgin Mother of God". 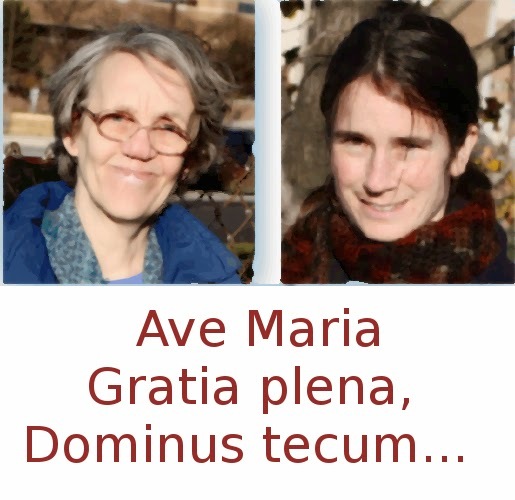 As we approach the holiest time of the year, the Passion, Death and Resurrection of Our Blessed Lord, please join us in praying a Rosary for Linda and Mary who are both imprisoned in the Vanier Centre for women, in Milton, just outside Toronto. They are in prison because they are incarnating Christ's love for the unborn. They are truly, really living the Gospel of Life. During this Easter season, would not a lovely gift of fragrant prayers rising to Heaven be an appropriate gift for these two humble angels for life? A prayer for Mary and Linda, is a prayer for the unborn. Please visit the Facebook Page, "Easter Rosary Bouquet for Linda Gibbons and Mary Wagner" and pledge to pray a Rosary by clicking "LIKE". Your Rosary will be counted. Or, you may wish to email us at:torontocatholicwitness@rogers.com. Just write "Rosary Bouquet" in the subject line and send. Your Rosary will be counted. Moral relativism, once it has gathered strength, quickly transitions into open totalitarianism. 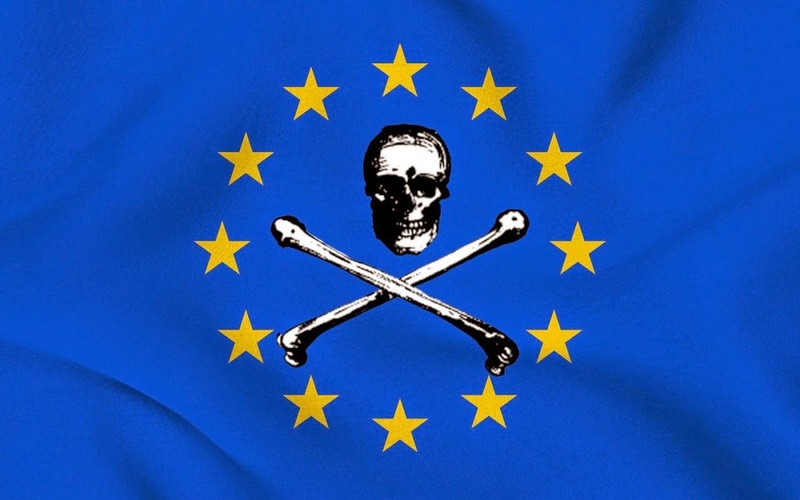 So it was this past Monday, March 30th, that openly communist movements (e.g.ABVV and the Juenes-FGTB) harassed pro-life groups, to then be assisted by the fascist police, in Brussel, Belgium, who confiscated and destroyed banners of the pro-life group, Fundacja PRO- "Right to Life". The above link will provide you with further, detailed videos of the disgusting behaviour of the communists, with the cowardly police idly standing by, to then finally throw in their lot with the totalitarians. Truly a scene right out of the 1930s. The foolish heart having become "vain" [proud], became "darkened", then became a "fool"; this is the mysterious beginnings of the idolatrous heart and mind of those who are seduced into the evil of sin; such as homosexuality and excusing it. So says St. Paul. So says the man struck off his horse those 2000 years ago and given a special mission to preach the truth of the Gospel to the lustful, the wicked, the blind, the "darkened", the "unclean", the perverted gentiles who had taken up "unnatural affections". Would Our Blessed Saviour chose as his Apostle a man who would err on morality, as the homosexualists claim? It is an absurdity to think this. 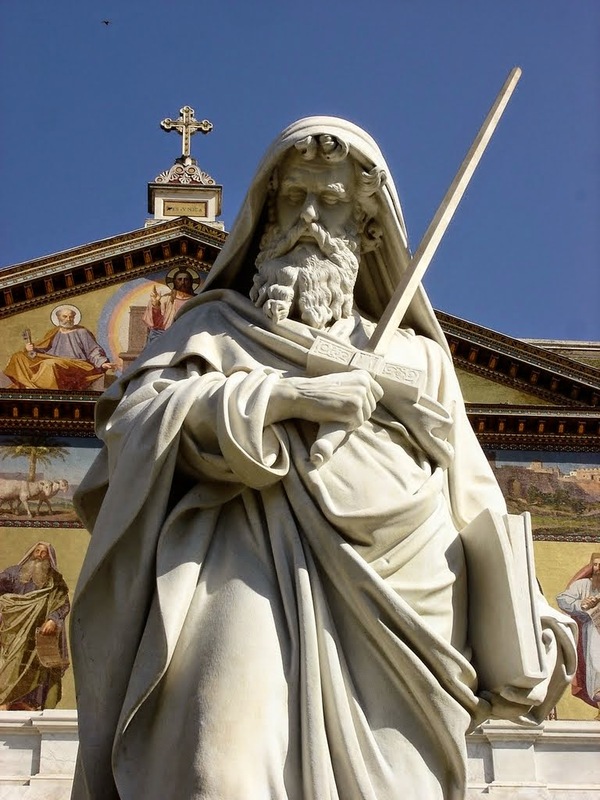 A rejection of St. Paul is a rejection of Christ. We can see a continuation of this "darkening", this "foolishness", this evil in the endless clamour for acceptance of the evil of homosexuality, most recently in the homosexualist outburst pertaining to the proposed Indiana State law on protecting Christians for violating their consciences.